When my friend Colin called me to ask if I’d like to play percussion for a choir and orchestra spoof of Call Me Maybe with a bunch of other friends and fellow musicians from New Haven, of course I said yes. He then added that we’d be auditioning for the first round of America’s Got Talent, and very well might end up on national television. A bit of a change from the church services we had been playing together for a number of years. Justin and 3 Penny perform LIVE ON NATIONAL TV for America’s Got Talent, Tuesday 8/13 9pm/8pm central. ?Join the?facebook event, and?vote! I’ll be performing with the 3 Penny Chorus and Orchestra?TOMORROW NIGHT,?Tuesday, August 13th 9pm/8pm central on the LIVE NBC broadcast of America’s Got Talent from Radio City Music Hall, and?I’d love for you to watch!? (can you tell I’m excited? )?You’ll need access to a TV to watch (I don’t think they are live streaming) — try a friend’s house, a bar/restaurant or another community space if, like me, you don’t have a TV. If you liked Call Me Maybe, you’ll love what we’ve got planned for this go around. This is also the round where?the viewers vote for who advances. From the beginning, we’ve been in this to have fun, make good music and enjoy the adventure — I don’t think any of us are in this for fame or fortune, but it’d sure be a blast to continue this adventure. If you like our performance,?will you vote for us?Tuesday night 8/13 between 10:55pm and 6am Eastern Time?the next morning? Apparently, each person is allowed to vote up to 21 times (10x via email, 10x via the website, 1x via twitter), so if you really liked the show, go wild! Voting information below. 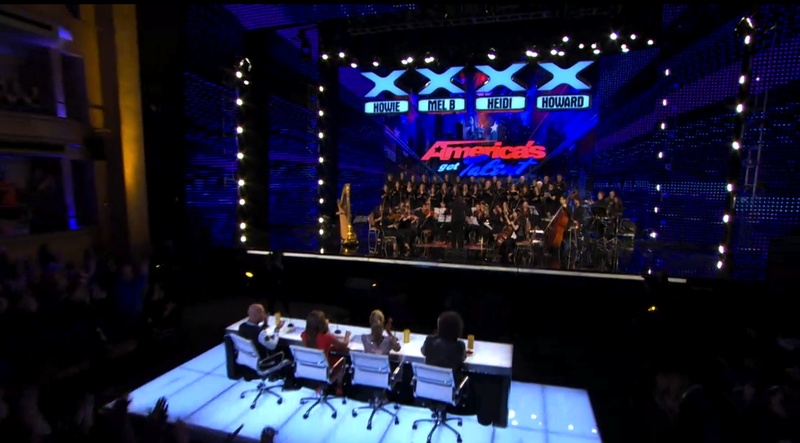 3Penny Chorus and Orchestra has made it to the live rounds on America’s Got Talent – and we need YOUR votes! Please read this section for details on how to vote, how to get tickets, and when to watch! WHERE: On your local NBC channel, or in person at Radio City! There are three (3) ways to vote on America?s Got Talent : toll-free, online (via NBC.com, Facebook, Zeebox, and the NBC app), and via Twitter. Each of the contestants/performers will be assigned their own toll-free number (e.g. 1-866-60-AGT01 for contestant 1, 1-866-60-AGT02 for contestant 2, etc.) during the show. To vote, simply watch America?s Got Talent on NBC (see local listings for times in your area) and at the end of the show dial the number of the contestant for whom you wish to vote. Or, vote online (through NBC.com, Facebook, Zeebox, and the NBC app ? see the How do I vote on the Internet? section). Or, vote via Twitter (see the How do I vote via Twitter? Section). You may vote up to ten (10) times online per e-mail address (through NBC.com, Facebook, Zeebox, and the NBC app), up to ten (10) times via toll-free per originating phone number, and one (1) time via Twitter per Twitter handle/user. For additional information on voting, please see?the website.